Christmas Street: 12 Days of Christmas is our first ever jigsaw puzzle Christmas Calendar which has been beautifully illustrated by the talented artist Pimlada Phuapradit. 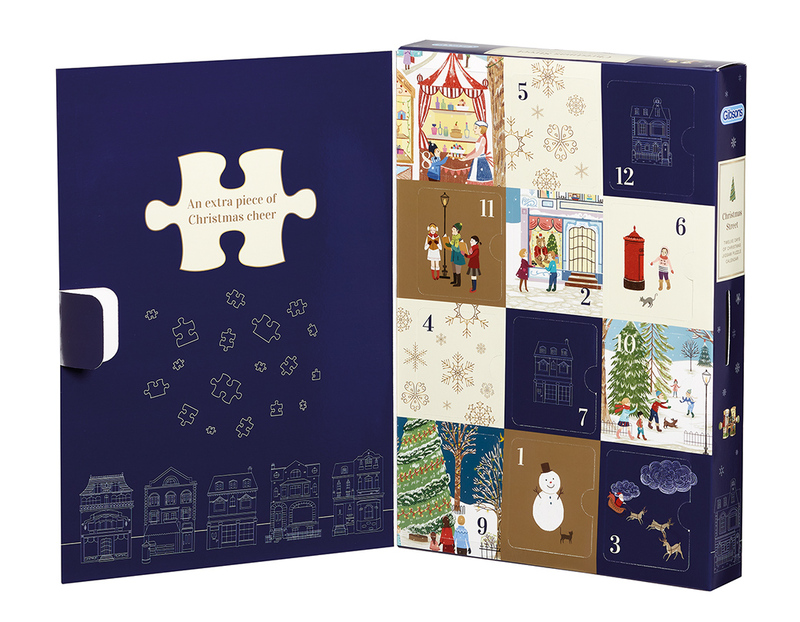 Those who are trying to avoid chocolate this year can unbox twelve festive surprises every other day, as behind each door lies an irresistible treat in the form of an 80-piece jigsaw. 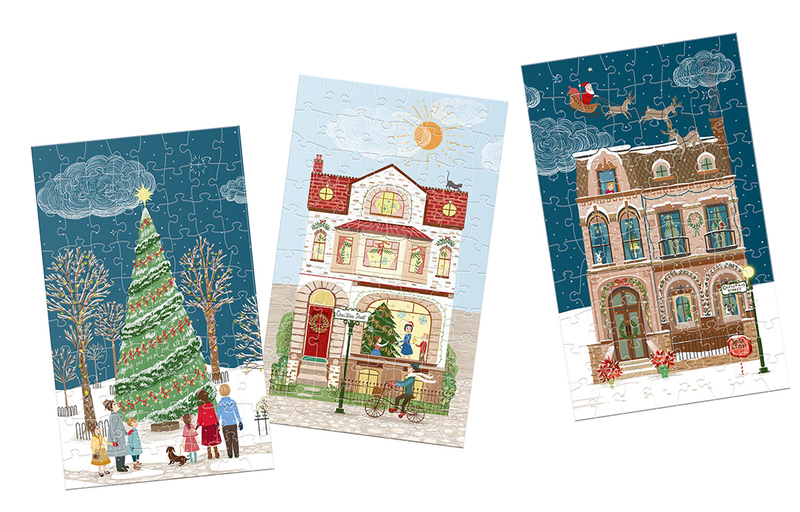 The twelve puzzles eventually create one gorgeous, panoramic, Christmas scene that portrays the nights drawing in and the snow starting to fall. Let the countdown begin! • 12 x 80-piece jigsaw puzzles. 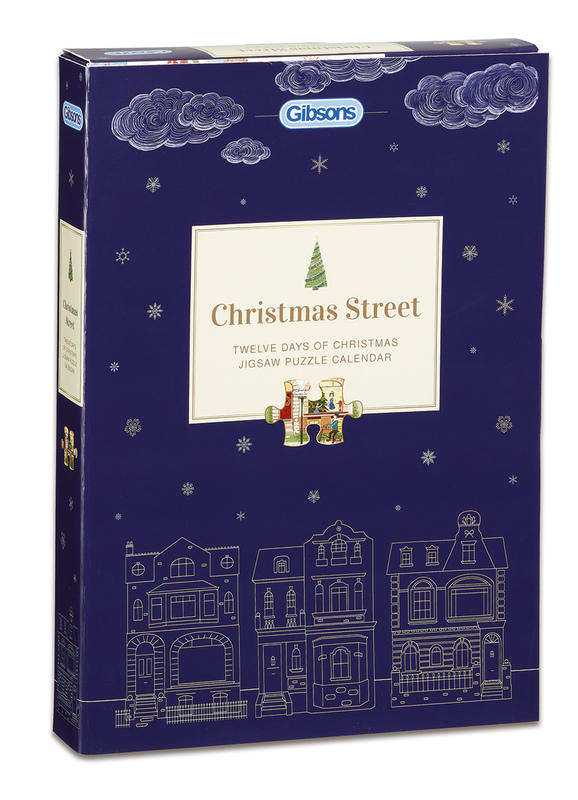 • Each puzzle can be added to the last to create a magical Christmas street scene. • Puzzle dimensions 18 x 10cm each.